Lots of people are very passionate about sport and consider it a dream to be able to combine their sporting lives with their professional ones. With a sports franchise, this is very much a possibility. 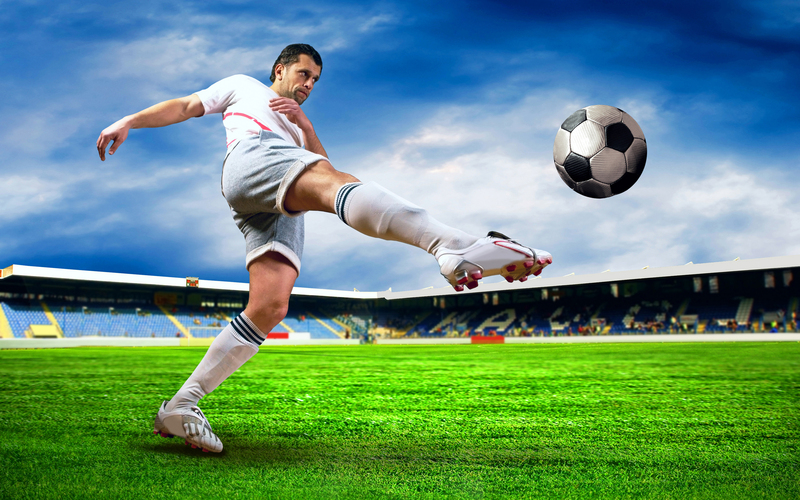 So what are the best sports franchise opportunities UK? The sports franchise boom has also come off the back of an increased focus on health and fitness. People are more concerned than ever about their own well-being, and there are numerous franchises that offer the support and motivation for people to get fit and healthy. The sporting franchise world covers a range of areas. Below are some general categories and ideas for the kinds of sport franchise that might be available. Consider these and combine with your personal skill set to help you decide which is most suitable. A key part of the sports franchise market, this can include anything from personal training to yoga classes. As a business, there are very few overheads beyond finding some suitable space in which to work. Very often the franchise will help you establish an understanding with a gym, sports centre or similar space. Knowledge & expertise are very important so it is often a prerequisite that you have some prior understanding of the industry. You can work on a one-to-one basis or offer group classes. There has been a recent move towards outdoor motivational fitness. Some include military fitness programmes popping up in parks across the UK. A product-based franchise opportunity, selling sports supplies both at a retail and commercial level, is a more business-oriented franchise opportunity. As a product franchise, this relies heavily on branding and marketing strategy. You may receive sales and networking support from the franchisor. Sourcing the products is another area where you can receive support from the main franchise. Getting fit through competitive sport is one of the best ways to do it. This has seen a proliferation of competitive sports franchises, which include running five-a-side football leagues and similar mass participation sports events. This relies on branding & marketing support from the Franchisor & is delivered by the best sports franchise opportunities UK. At the top end of the sporting franchise scale there is the opportunity to set up and run your own gym. Gym franchises are popular, although expensive, but there is the opportunity for growth. Due to the need for a large amount of equipment, you may need to have significant capital up front. Support from the parent franchise around sales and membership is essential, and you will need to do extensive research into the geographical location of any new venture. As well as fitness and traditional sport, there is a new wave of niche or novelty sports franchises opening up. These include fun trampolining centres, rope courses, outdoor adventure centres and more. There are several sport related franchises that have adapted a traditional sport in a new way to create fun alternatives, for example, miniature golf. As well as permanent and on-going sporting businesses, it’s also possible to get involved in sporting events franchises. Organising specific one-off events like triathlons, fun runs and more can present the opportunity to showcase significant organisational skills. There is a range of opportunities across kids’ sports, including after-school clubs to promote health and well-being. This is very well suited to people who love working with children and provides an opportunity to genuinely make a difference. Frequently you can work in tandem with local schools, councils and initiatives to bring something different and fun into the lives of children, while at the same time promoting health. What a the best sports franchise opportunities UK? As well as combining business with passion, many sports franchises require a smaller initial investment as they rely on the energy and personality of the franchisee. Overheads, including premises and staffing costs, are low (with the exception of gym franchises and a few others), so you don’t need a whole lot of cash to get started. Training should be provided by the franchisor, and you will get the use of branding and marketing equipment. You might also get support with finding suitable areas of operation. As a franchisee, you will be able to open your business sooner than if you were starting from scratch. In fact, on average new businesses take around a year before they can launch but franchises only a few months. So there could be potentially more than six months where you could be making an income and working with customers that you wouldn’t have if you were on your own. Even once opened, you can direct your energy towards improving and growing the business rather than promotion and marketing. However, perhaps most importantly in an area of business that is relatively new, sports franchises give you the opportunity to work with a business that already has a proven model. If you’re trialling a new idea, there are no guarantees that it is going to work. When choosing your franchise in the sports sector, it is a major advantage to make a selection based on your own passions and skills. This will really shine through in the way you operate and help to make the franchise business a success.